As a member of the Project Management team, Rosie directs the Market Research process from questionnaire development and field preparation through data analysis and report development. She monitors fieldwork to ensure goals are met and the data are accurate. 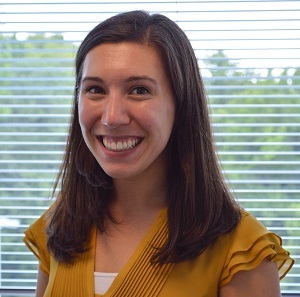 Rosie joined WBA in 2015 and was promoted to Research Director in 2019. Rosie has worked with clients primarily in the transportation industry—conducting origin-destination, market share, and customer satisfaction surveys—most recently for New Jersey Transit, the Maryland Transit Administration (MTA), the Washington Metropolitan Area Transit Authority (WMATA), the New York Metropolitan Transportation Authority (MTA), the Metropolitan Atlanta Rapid Transit Authority (MARTA) and the Northern Virginia Transportation Authority (NVTA). Rosie graduated from The George Washington University, in Washington, DC where she earned a Bachelor of Science in Statistics, with a minor in History.